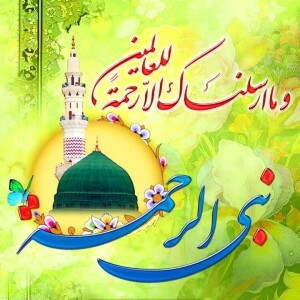 We are coming to the second month of Islamic Calendar. We said that the first month in Maulana Shaykh’s teaching of ma’rifa for us that they are moving at the levels of 9 and Baab at-Tauba, the Gate of Repentance, asking to repent, asking to leave badness and sacrifice bad character for good character. Then the second lunar month is the reality of 18. 18 from Ism-Allah [name of Allah (aj)] is Al-Fattah – The Opening. 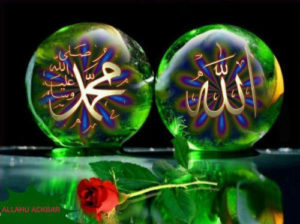 Every Ism-Allah, every name of the Creator is dressing the name of the prophets. You cannot enter that key without a name of Sayyiduna Muhammad (sallallahu alaihi wasallam). 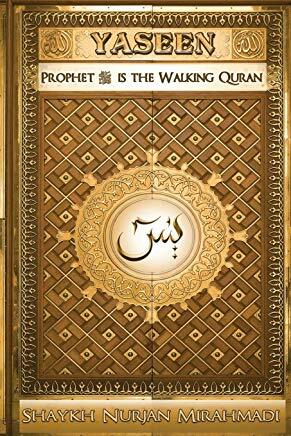 So many people read Ism-Allah, Ism-Allah, Asmaul Husna. Alhamdulillah there are so many blessings in that, but Maulana Shaykh’s teaching for us is that you have to look at that 18- Al-Fattah, then the siffat ul-Fattah is dressing the second month which is the opener. Then you look to the 18th name of Muhammad (sallallahu alaihi wasallam), Nabi ur Rahmah (sallallahu alaihi wasallam) means the Gate of Rahmah is opening. So then you’re asking, “Ya Nabi ur-Rahmah, Ya Al-Fattah, dress me and open for me from that rahmah.” Then you begin to look at the 18th surah of Holy Qur’an and it’s Ashab al-Kahf. That’s why they say that these teachings is not a masjid teaching and these are not from imams. The imam at the mosque or the preacher at the church or the rabbi at temple, these are, those are very basic level knowledges, like kindergarten teachings. But when we’re coming to the association of saints- not ourselves but Sultan al Awliya Maulana Shaykh Nazim Haqqani, Maulana Shaykh Hisham Kabbani- we are the students of very powerful saints, and they’re teaching us heavenly realities that there is a numeric code and everything is coded. Everything has a tajalli (manifestation). Everything is very precise. Anybody who did a little bit of programming understands that. Means for you to have a software means a tremendous amount of programming and that programming is locked and precise. As you type, activates something in the program, and you can type all you want and it doesn’t change anything in the program. Means the program is fixed. So when we are amazed, how are these numbers correlating because they came first, before the manifestation of this dunya (material world). Means these were all precisely numbered realities. That in that second lunar month and the Divine is going to open from the secrets of 9, and 9 is the perfection of numbers. We said from 1 through 9 are the base numbers in the oceans of reality of numbers. That you have from 1, which represents the Oneness of the Divine. The saints that are sitting at that position 1, their duty is to teach us Oneness. There are not 2 gods, there are not 3 gods, there no 4 gods, there is just but One Creator, because we see only 1 nucleus in the atom. If you had 2 nucleuses the electrons wouldn’t know which one to go around and there would be chaos. Position 2 begins to teach us about the Ocean of Power. That the Prophetic reality begins as a mirror from the One. When the Divine is going to create creation, from that Divine Light is the creation of the Prophetic light. So then 1 is the One Source of Power, the center of our circle. The prophets, they are not by chance. They are perfected souls. The Divine knows that when He is going to create those in the Ocean of Light, they were created before anything and they are a reflection of the One. So then 2 represents the secret of the reflection of 1. The shaykh or the saint at the 2 begins to teach us that the prophets are a radius for this circle. They connect everyone to the same center. They are all brothers. No radius goes to a different center. 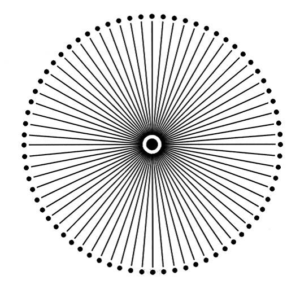 If the center’s 1, all the prophets are connected like the spokes of a wheel. You can’t have a spoke somewhere else. There’s one wheel of creation. When we look at the hover spacecraft we see the whole universe like a egg spinning. It’s a circle, one center. That One Source of Power and then the radius comes as a Rasul, as a messenger to take all of creation to the center. That from the Essence of Divine is One – Ahad. La ilaha illAllah, nobody is in that One. Nothing exists except Allah in that One. When Allah going to create the creation is the soul of prophets, is the ocean of 2. So the shaykh is teaching us: that ocean is the Ocean of Power. Everyone has to connect to the 2 to get to the 1. You can’t jump over the prophets. I can’t just buy a book and be clever. Which prophet are you coming through? Which teachings did they teach? Which prophet said that? That from the Essence of Divine is One – Ahad. 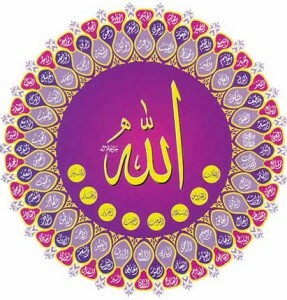 La ilaha illAllah, Nothing exists except Allah in that One. When Allah going to create the creation is the soul of prophets, is the ocean of 2. From that light of the prophets is the birth of 3. 3 is the secret of our souls and the 3-dimensional creation. The ocean of 3 opens the circle of creation – the nucleus, the radius and now the circumference begins to manifest. We are from that ocean of 3. This 3 represents the secret of the soul. The shaykh at position 3 begins to teach us: we are all from that ocean and we must all connect back to the prophets and the prophets teach us of the reality of 1. Then now the 3 is the base. The 3 is the base and now every number til 9 is going to be added on 3. You have 3 is base; now 3 plus 1. Means from that Divine Power of 1 begins to hit that 3 and begin to teach us the reality of 4, that 4 is the creation of our form. 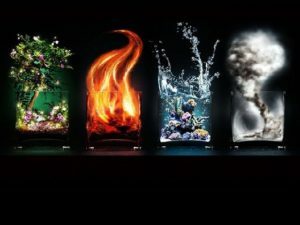 From 4 basic elements, everything in the created world is from these basic elements: water, fire, earth and wind. Then the shaykh at position 4 begins to teach us the secret of creation. That all the angelic reality is created from water. All the jinn and spiritual beings are created from fire. Water’s stable; fire very dangerous. Anybody plays with fire gets burned. So don’t play with spiritual beings. 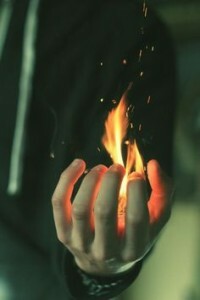 So many people go to fortune tellers and different people who play with fire. Anybody, they taught us when we were kids: if you play with fire, you will get burned. Fire by its nature is not something you can control, like gasoline, at one time it explodes. Play with water, it’s much safer for you. 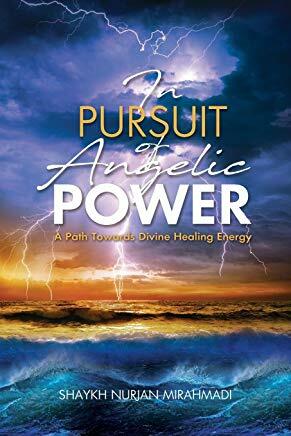 Means choose an angelic path towards reality. Then Divine begins to teach us, the shaykh at position 4 begins to teach us: we are created from teen, from soil. Then the reality of soil begins to open for us that soil can take water and everything grows. Soil can also put out fire. Because of our noble creation, we can contain water, so angels can come into us and bless us and many realities grow. At the same time, we have a fire within us. If we use the reality of that teen, we can put down that fire. That’s why tayammum, that when you don’t have water to wash, you take sand and clean soil and takes away negative energy. Then Divine is teaching us, “You are noble creation. 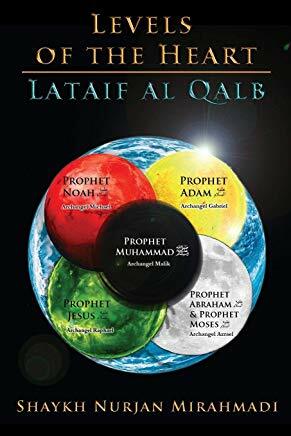 3 plus 2, means that 3 from the realities of Bahr ul-Qudra, the ocean of the prophets, the ocean of 2 opens the reality of 5. So 3 plus 2 means that the soul dressed again from the secret of the prophets opens the reality of 5, and 5 is guidance, hidayah. 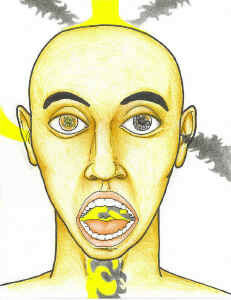 You use your 5 senses in your world. You use your hearing, you use your seeing, you use your touch, you use your smelling, and then you use your taste. We use this in our physical world for everything we do. 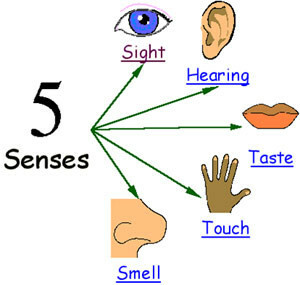 These 5 senses have a matching 5 senses for the soul – use your spiritual hearing, use your spiritual seeing, use your spiritual touch. Become subtle and feel things that people can’t feel. Use your spiritual smell- aromatherapy at its reality is angelic reality, ‘cause smell is the power of angels. Once you use your spiritual smell, things that are offensive to you, you know them as shaytaan. If it smells bad, it is bad. If it’s good-smelling and pleasant-smelling it’s angelic force. So good smell makes us feel good. Good smell brings health to us. So then the subtleness of air begins to open its reality. Then the highest level of reality is the reality of taste. At that level we are tasting the reality. We’re tasting from our soul, hearing from our soul, touching from our soul, smelling from our soul, and begin to taste in that Heavenly Presence. The shaykh at the position 5 is teaching us that reality, that your soul, with the power of 2 from the prophets, they’re dressing you from Bahr ul-Qudra. You begin to understand your senses, how you need these senses in dunya to reach those senses of aakhirah. The 3 plus 3 means the reality of our soul with the reality of the soul begins to dress for us the secret of Divine Love. That your soul meets what you have in your body. From that understanding of the 3 you’re imitated being needs to connect back with your real being. The reality of your soul is always in Divine Presence. Means the shaykh at position 6 is teaching us that you’ve been given a small portion of that light; reach back to your reality. What you are doing with your soul is not its reality. What you are doing in this world is all but an illusion – connect these back. Then it begins to open the reality of 6, and 6 has to do with the secret of wow and love, Wadood (The Loving One) [One of Allah’s Names], that you are created in that Divine Image. You are created from that Ocean of Love. That’s why we said in other lectures from Mawlana Shaykh’s teaching: if you see God in any imperfection that is the result of our imperfection. If we’re not perfect we see God as angry, we see God as violent, we see God as hateful, we see God as punishing. The prophets teach us: perfect yourself, reach the reality of love and Divine Love and then you begin to see what God is. Means, yeah you can never see God but you can begin to witness the signs of the Divine through the attribute of Divine Love, and that everything is created with that Love. Who are you to curse it? Who are you to come against it? Who are you to bother anyone in that Ocean of Love? Our duty is to perfect our self and make an oasis of love, feed and drink whom are coming for that love. Means then 3 and 4 begins to open up the reality of the 4 and the 7. Means the perfection of the soul at 3, the perfection of 4 is the physicality, that you perfected your soul. The shaykh at position 4 taught us about the physicality. What is the reality of your physicality? What are its limitations and what are its potentials? That 3 and 4 opens the secret of the 7. Means the 7 holy openings, the 7 rings of an atom, the 7 times you circumambulate the Ka’bah, the 7 paradises- all of these connected with that 7 that perfect your soul, perfect your body and reach and open up all of your chakras, the lataifs towards the reality of perfection. Then 3 plus 5- we said that 5 was guidance. If the soul reaches the perfection of guidance, it reached the reality of hayat. 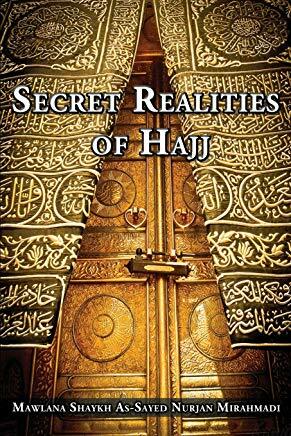 The ha of hayaat is the secret of life. 8 and its eternity. If you have perfected your physicality, you perfected your soul, you’re now in the Ocean of Al-Hayaat-الحيات hayy حي hayy, hayy, hayy, hayy (The Ever Living) [One of Allah’s Names]. Means that you’ve taken yourself to the reality of the ever-living and you become from the saints of the ever-living who have died of their desires and reached the reality of life, the reality of the ever-living. 3 plus 6 means the reality of the soul plus the reality of love, and 36 is Suratul Yaseen which is the qalb of Qur’an. 3 plus 6 is 9 and represents the perfection of the soul and the perfection of love is the sultan, is the king of numbers which is the reality of 9. 9 is the perfected number. There’s no number higher than 9. 9 represents complete submission. 10 is 1 and 0. 11 is 1 and 1. 23 is 2 and 3. Everything is going to use these building blocks. 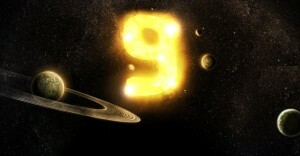 So the highest number is 9 and 9 represents invincible and perfection. 9 times 2 is 18; 1 plus 8 goes back to 9. 9 multiplied by any number adds itself back to 9. 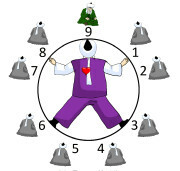 So then 9 is the sultan, 9 is the king, 9 is perfection and complete submission. Past 9 you become a nuqt, a dot because they perfected your submission. Means that you become a dot and a point. They’re teaching us to move on that scale of numbers. Move on that reality that we’re in the second month opening the reality of the Baab ur Rahmah, that we’re asking to be in the cave of mercy, the cave of protection leaving bad character and moving towards goodness in the company of all the prophets. We use the example of the prophets in our lives and the example of the saints in our lives. Subhana rabbika rabbal izzati amma yasifoon, wa salaamun alal mursaleen, walhamdulillahi rabbil aalameen. Al-Fatiha.